Brunton F-5006LM International Pocket Transit effectively reduces needle "dip" when professionals travel to different hemispheres. (Call us for the special balancing required for absolute precision in distant areas.) Powerful Alnico V magnets are mounted to a polished, cupped sapphire jewel bearing, allowing for smooth needle movement. This International Brunton LM pocket transit is the most popular aluminum body version because it is waterproof and dust proof. 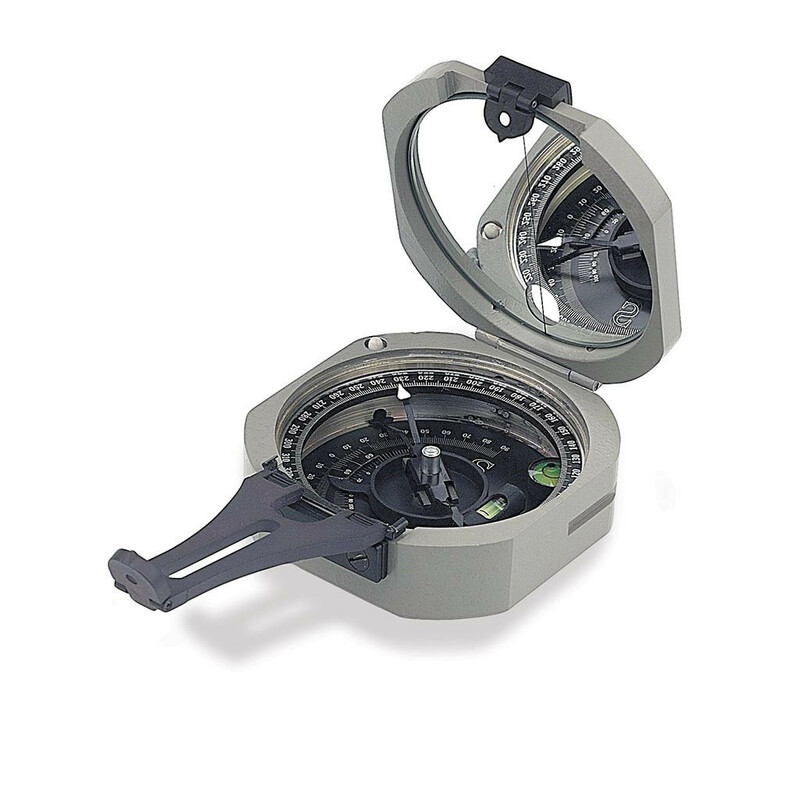 It has the traditional machined aluminum compass body finished in a durable textured light gray enamel. Brass hinges and pivots are attached to the pocket transit by screws. The Brunton international pocket transit model 5006LM scaled in 0-360 degrees, dust and waterproof, aluminum metal case, and comes with leather pouch. Adjustable needle locking mechanism with two positions: Unlocked - releases the needle for azimuth readings. Locked - momentary release of the needle for strike measurements by pressing and holding the release mechanism, then lock the needle for reading by releasing the mechanism. This International Brunton LM pocket transit is the most popular aluminum body version because it is waterproof and dust proof. It has the traditional machined aluminum compass body finished in a durable textured light gray enamel. Brass hinges and pivots are attached to the pocket transit by screws. The Brunton Company warrants the F-5006LM to be free of defects in materials and workmanship. This warranty extends to the original purchaser for one year from the date of purchase.